Once upon a time there was a wise man who used to go to the ocean to do his writing. He had a habit of walking on the beach before he began his work. One day he was walking along the shore. As he looked down the beach, he saw a human figure moving like a dancer. He smiled to himself to think of someone who would dance to the day. This story reminds us of why we started The Happy Head. It’s not just about massage. It’s about making each person that walks through our doors HAPPY and feeling GREAT! So that’s it, we focus on that with every Happy Head customer. 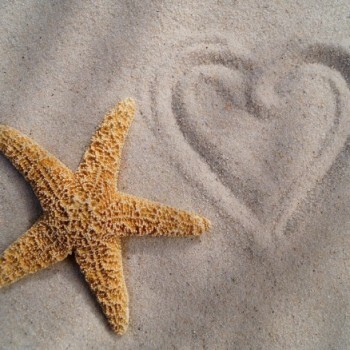 We are so glad that YOU are our starfish…Thank you and we always want to make you happy. P.S. Can you imagine how wonderful the world would be if EVERYONE looked for starfish to throw back in the ocean? We’d clearly wipe out terrorism, hunger, poverty and most unhappiness. Make this year the year YOU look for starfish and – one-by-one — throw them back in. It will make a difference.